As one of Australia’s most professional Psychics, Brisbane Psychic, Lynette received acclaim by being the only Brisbane Psychic to be proven “genuine” in a court of law in Australia. 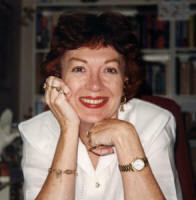 Brisbane Psychic, Lynette petitioned parliament to repeal the laws governing genuine psychics and mediums. Finally After 18 Years Of Submissions The Queensland Laws Were Repealed. My close proximity to that other world has always been an integral part of my life for I was born gifted with many psychic abilities and special gifts of visualization, my psychic faculties spring into action immediately I receive imprints from the thoughts and emotions of my clients. My antenna absorbs the atmosphere like a sponge to soak up feelings and impressions at an extremely fast pace. With a lifetime of experience and research into astrological and emotional behavior patterns, I am recognised as a wise and perspective guide. When looking for direction clients come from all walks of life seeking my clairvoyance, advice and counseling. From my inspirational psychic insights I address and encourage you to shape your own destiny by providing an awareness of opportunities which can help you to make better decisions and positive changes. With unique guidance and direction a personal consultation reading will leave you with much to think about!